Longing for a better world respectful of the environment? 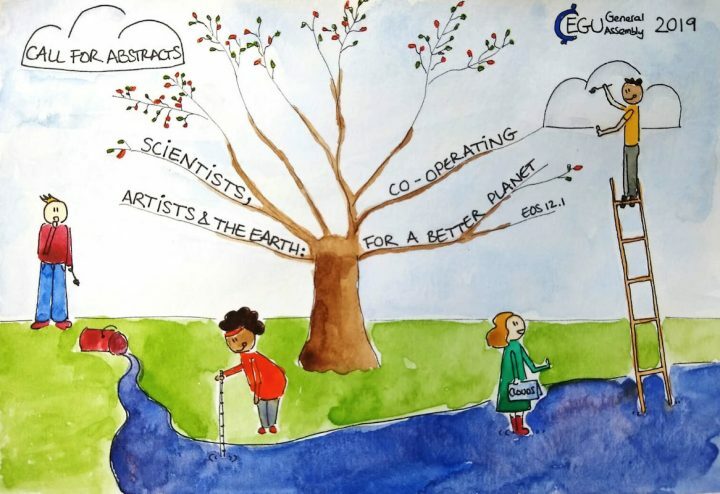 Are you a scientist or an artist working for a better planet sustainability? Are you a scientist cooperating with an artist to the same goal? Then, do not miss the opportunity to take part in our session dedicated to Earth sciences and Art int its fifth edition. We would be happy to have you in our upcoming EGU conference in Vienna! Let us know about your work and share it with earth scientists and artists from all over the world. Here follows the official letter of invitation to submit an abstract. Looking forward to see you in Vienna! We invite you to submit an abstract to the Earth sciences and Art sessions that we are organizing within the 2019 European Geosciences Union (EGU) General Assembly (Vienna, Austria, 07-12 April 2019). Please note that in this case the deadline to apply is *1 Dec 2018*. Please note that also in this case the deadline to apply is *1 Dec 2018*. We would like to hear about the work that you are doing and encourage you to submit your abstracts. We are very grateful to Louise Arnal for creating this beautiful flyer for advertising our session!